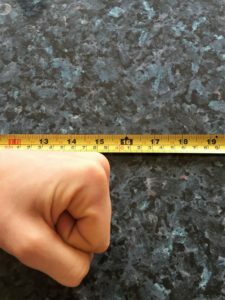 Custom Tonfa Measurements – a guide to taking measurements needed when ordering customised tonfa. 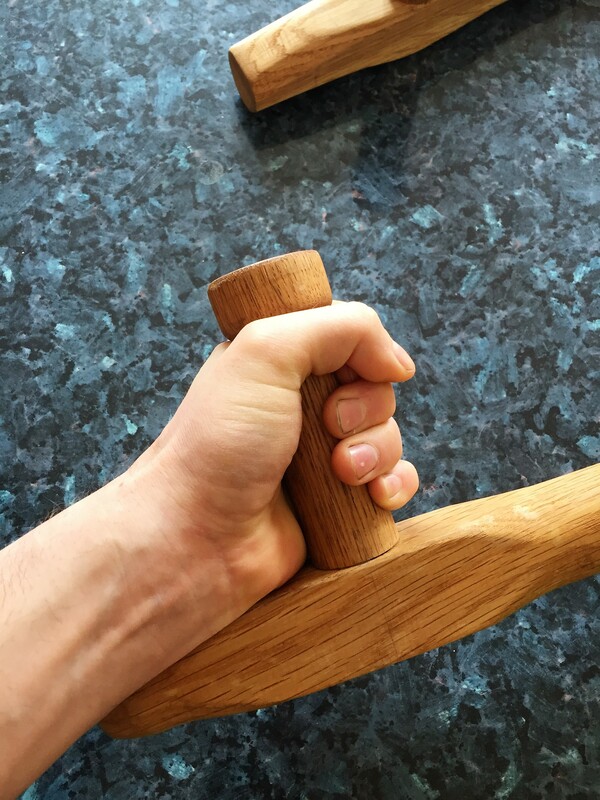 To provide proper protection during blocks, tonfa should reach just past the tip of the elbow. Undersized or oversized tonfa can be used, but may feel ‘unbalanced’ in certain techniques. 1. 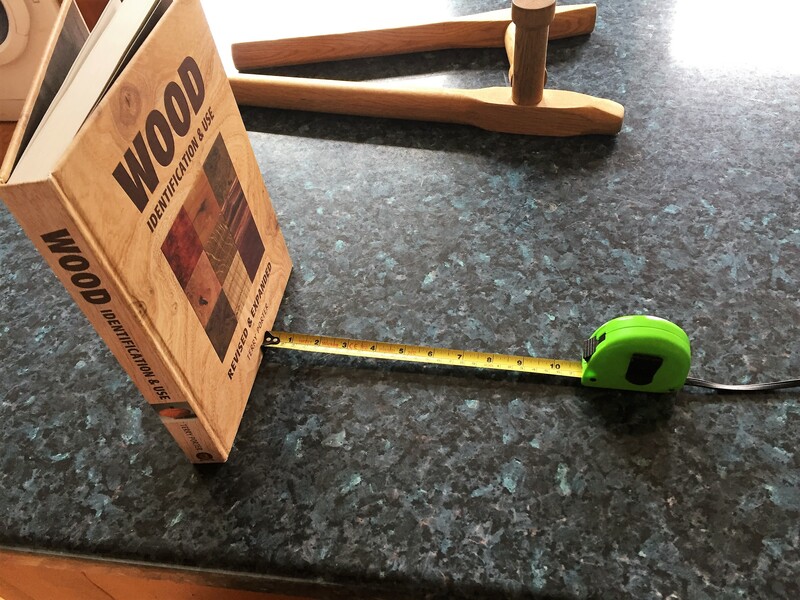 To accurately measure the required arm length, place a tape measure against a flat surface such as a wall or book. 2. Place your elbow against that the surface. 3. Read the measurement at the end of your knuckle. For me this is 15″ (or 39 cm). Please supply this number when making the order – if I know the distance between knucle and elbow, I can make the perfect tonfa for you. Grip width needs to be precise – if the grip is too small the heel of the handle will rub and cause blisters. If it is too wide the tonfa can ‘wander’ sideways through your hand. To measure grip width, make a tight fist and place the fleshy part of your hand on a flat surface (see ‘A’). 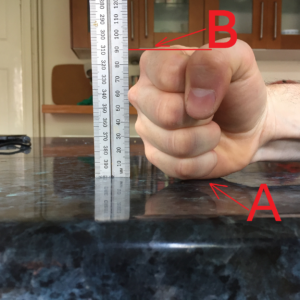 Then, using a tape measure, carefully measure how high above the table your knuckle is (see ‘B’). 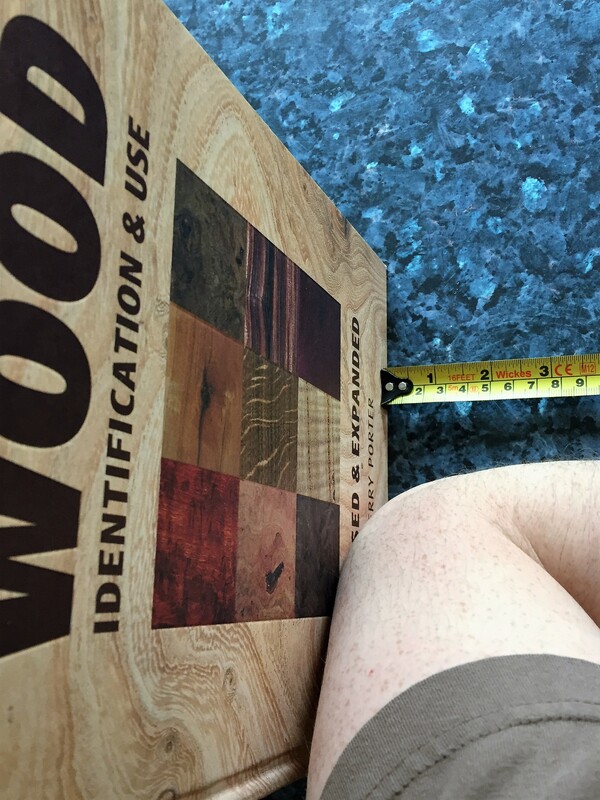 For me you can see this is exactly 9 cm. Any questions – please contact me!